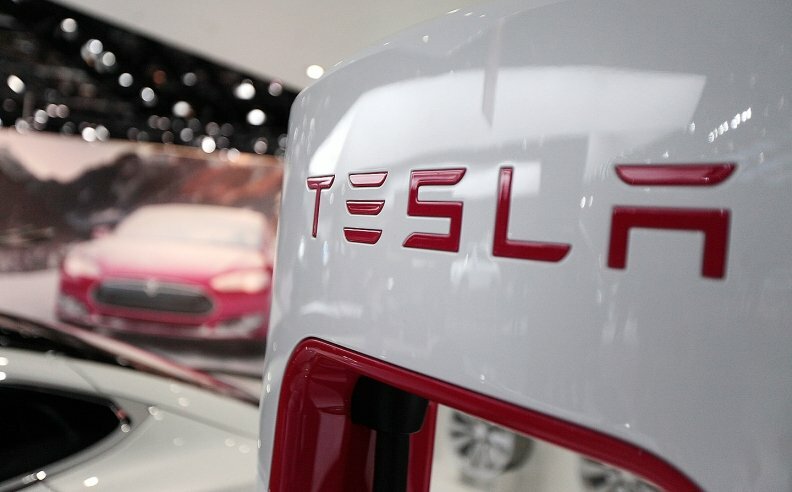 SAN FRANCISCO (Bloomberg) -- Analysts are voicing concerns about Tesla Motors Inc.’s cash, saying the maker of electric cars and energy-storage products may need to raise money. Tesla said it had $1.51 billion in cash and cash equivalents as of March 31, down from $1.91 billion three months earlier. Adam Jonas, an analyst with Morgan Stanley, called Tesla’s cash burn “eye watering” in a note early Thursday. At the first quarter’s pace of operating losses and capital expenditures, Tesla could run out of cash in about three quarters, he said. “In any case, we believe Tesla may find a capital intervention desirable if not absolutely necessary,” Jonas said. Analysts at JPMorgan Chase & Co. and CLSA also suggested the company may need to raise money. The company lost 36 cents a share in the first quarter, less than the 49-cent loss estimated by analysts. Tesla shares rose 2.8 percent to close at $236.80, the highest in more than five months. Earlier Thursday, they fell by as much as 4.4 percent for the steepest intraday decline in almost six weeks. Tesla executives said the first-quarter spending was driven by development of the Model X SUV as well as investments in tooling, a new paint shop, the “gigafactory” for battery production in Nevada, and the sales and service network. Tesla also had to spend several million dollars on expedited shipping because of the West Coast port strike. CFO Deepak Ahuja said Tesla still expects to be cash-flow positive in the fourth quarter. As the company begins to have more finished goods inventory, he said it makes sense to establish credit backed by it or by raw materials. “We’ll take those actions to make sure we have a solid balance sheet,” he said on Wednesday’s conference call. Ryan Brinkman, an analyst at JPMorgan, said that first-quarter free cash flow, which refers to operating cash flow minus capital expenditures, was negative $558 million -- a “disquietingly large” figure. “The degree of free cash burn suggests investors would be well served were the firm to raise additional capital,” he said. Andrea James, an analyst with Dougherty & Co., said the concerns about cash use are off point. Tesla raised $226 million in its June 2010 initial public offering, the first for a U.S. automaker in a half century. In May 2013, the company raised $1.08 billion in equity and debt offerings, a move that allowed it to repay its $465 million Energy Department loan nine years ahead of schedule. In February 2014, Tesla raised $2 billion more in convertible debt to help finance the gigafactory. When reporting earnings, Tesla reiterated that it plans to deliver 55,000 vehicles this year. Construction of its massive battery factory in Nevada is also ahead of schedule, with manufacturing of cells, modules and packs set to begin in 2016. Tesla said deliveries of its long-awaited Model X should begin late in the third quarter. The carmaker had previously sought to have the car ready by the end of 2014 and more recently told investors that deliveries to customers would begin this summer.